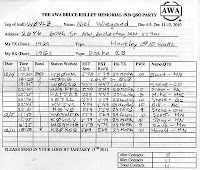 The last two weekends I participated in the AWA Bruce Kelley QSO. Except for curious visitors, transmitters must be limited to 1929 (or earlier) designs and not crystal controlled. This year I used my Hull Hartley at 10 watts input and a Drake 2B receiver. 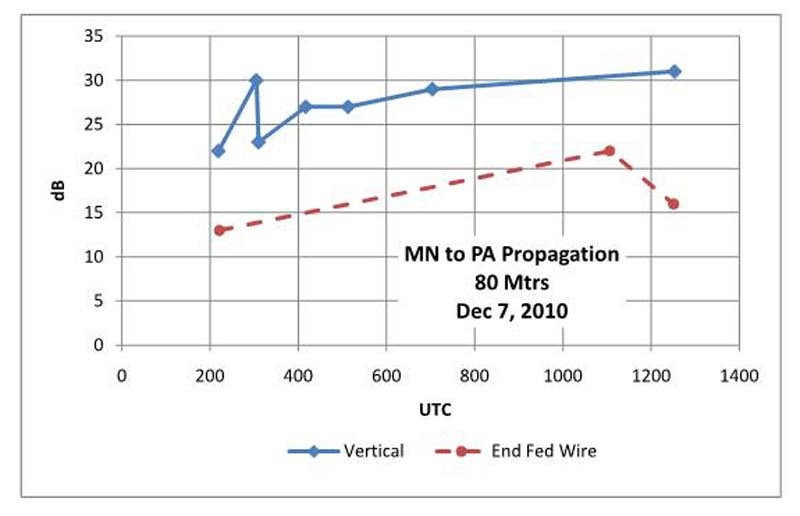 The change from last year was having a 80 mtr vertical available rather than a simple end fed wire. Unfortunately SE MN was under a blizzard warning for most of the first weekend of the party and I was busy elsewhere for most of the second weekend. Self excited oscillators like the Hull Hartley are prone to frequency wobble whenever the antenna load changes. My vertical swaying in the blizzard wind was too much for it. Rather than wobble all over the band I again used my 105' end fed inverted "L". Even with only 3 watts out to a low (10' -15' off the ground) antenna I made 11 contacts and worked both east and west coasts. I had a good time. Maybe next year I'll have an amplifier for my Hartley so that I can use the vertical (with the sway) and run closer to 6-7 watts out. 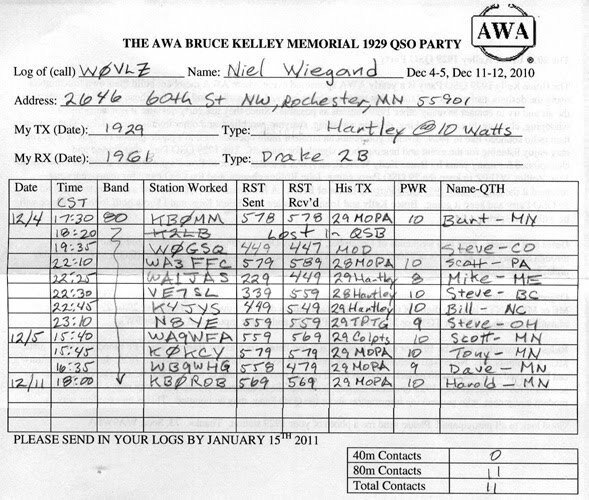 I wondered if my 80 mtr top loaded vertical is a good antenna for the Bruce Kelley Memorial 1929 CW QSO Party. Part of the loading is the top 6' of two of the guys. Any sway at all causes a guy to sag a little shifting the load my Hartley sees. This causes my signal to FM/wobble...distracting to say to least and aggravating if the band is crowded. I needed to know if the gain offered by the vertical over my endfed wire was enough to outweigh the the wobble it introduced. The reverse beacon network at http://www.reversebeacon.net/ allowed me to get a good idea of real antenna performance. All I had to do is call CQ and any reverse beacon stations hearing me automatically posts my call, frequency and signal strength to the web. 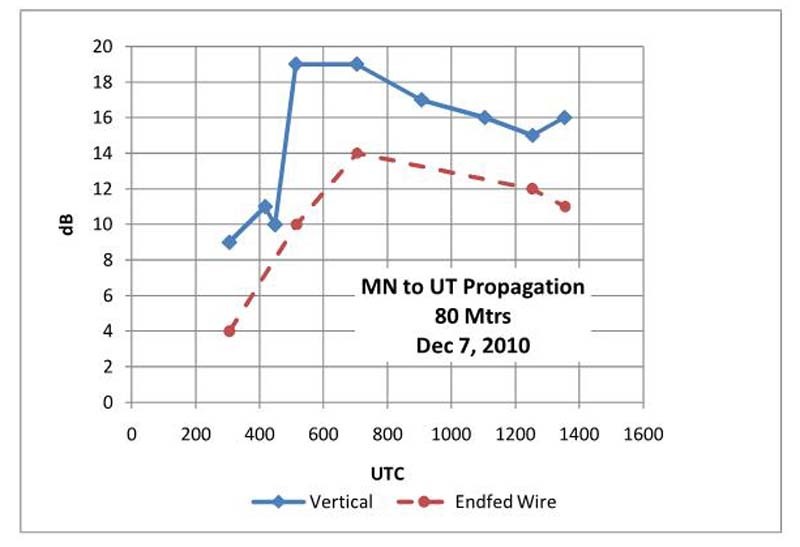 By switching between my low endfed wire and my vertical I could get a good A vs B comparison. 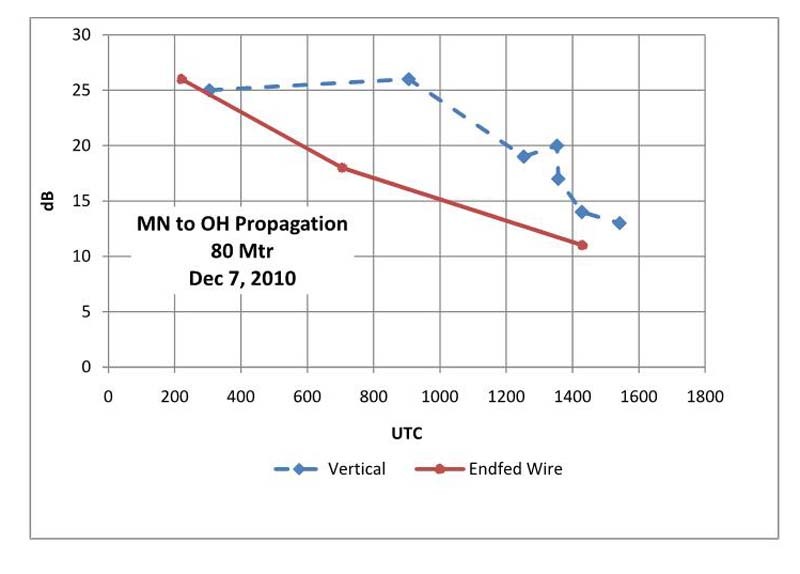 By doing this over a period of time I could see how changing nighttime propagation impacts this comparison. 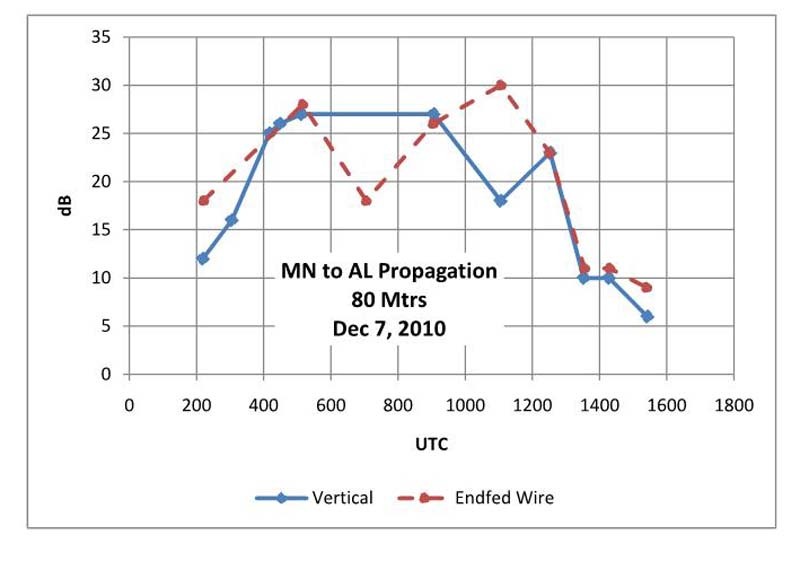 Monday night I did exactly this and then sorted though the data to see how the two antennas compare from about 8PM (2:00 UTC) through the next morning. What I found was that for the east coast (PA) the vertical offered 8-10 dB gain throughout the night. While not always a spectacular performer it is almost always better than my endfed wire...but signal reports all mention the wobble/FMing introduced by antenna sway. Based on this I'll stick with my endfed wire for the early evening hours and then switch after about 10PM when the band activity dies down a little. For next year's Bruce Kelley QSO Party it would be nice to have this problem solved by building a '29 style amplifier to use with my Hartley. Fortunately my 1934 transmitter already has an amplifier stage in between the oscillator and the antenna. My vertical will work fine with this transmitter during the AWA Linc Cundall Memorial CW Contest in January.